While in Wellfleet last week, I made a couple of pilgrimages to the wonderful Wellfleet Drive-In Flea Market. The Market, which runs a few days every week in the Summer, and on weekend after Labor Day, is combination of vintage market, arts and crafts and new merchandise and it is just great. You may recall that the Wellfleet Drive-In Flea Market is where I found the original “Lost Cowboy” figurine in 2009 which became the inspiration for this blog – so the place is special to me. Unfortunately, due to timing and weather, my first trip to the market on the first Sunday of the trip was pretty much a bust. However, my friend visiting from New York City cleaned up all sorts of finds on jewelry and beach accessories. I had to wait until the end of the week when I stopped in at the Market on the way out of town to get some good stuff. The vintage dealers were few, but I purchased a few things that made my day. 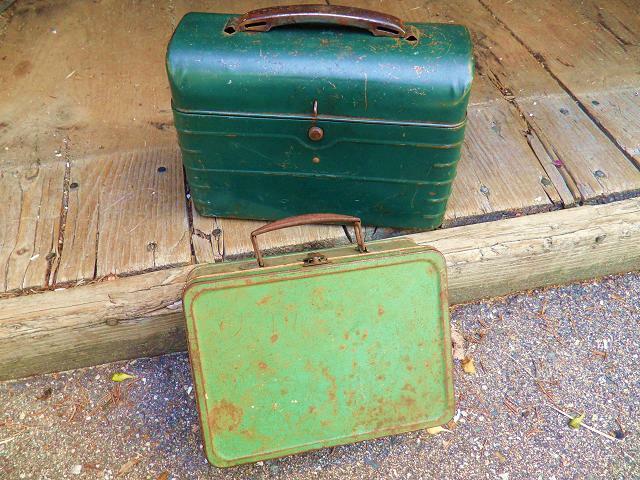 First up, I spotted an old green lunch box which I thought was cool. When I picked it up I realized there was something inside and I opened it and found that it was full with about 60 or so vintage keys. The dealer was a little taken aback when I asked how much he wanted for the box and its contents. 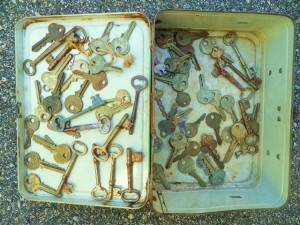 He said that he sells the keys individually and they were not for sale as a lot. I pressed him, he quoted a price, and I accepted it and the keys and the box are now mine. While browsing at another dealer’s booth, the dealer spotted my new green lunch box and said she had another one. She pointed out a green lunch box that was partially hidden under some other merchandise and I knew instantly I needed it. So I bought it. There is nothing like an “instant collection” and I love my new vintage lunch lunchboxes. If I didn’t already love Anarchy in a Jar because of their name, I would fall in love with them because of their slogan: “The revolution starts in your mouth.” Seriously? Wonderful! But in the end it is the product itself that matters and the jams and chutneys and such of Anarchy in a Jar are just lovely. 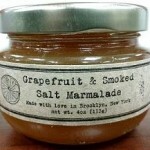 This stuff is not your Nana’s jam. Find out more about Anarchy in a Jar here. Anarchy in a Jar products can be purchased online from Sif Foods. Lost Cowboy is powered by	WordPress 5.0.4 and delivered to you in 2.024 seconds using 45 queries.